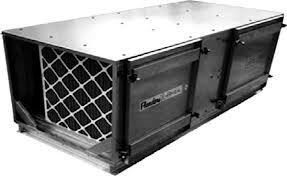 California Air Purification Sales, Inc.
Flanders/Air Seal is dedicated to providing the industry with premium quality products to meet application. 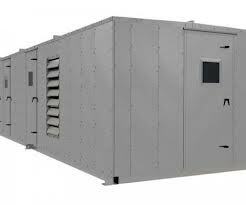 Units are 10,000 CFM panel seal large room size air handlers designed and fabricated to your specifications. Flanders offers units in four styles: UniSeal, PanelSeal, Critical Applications and Custom. 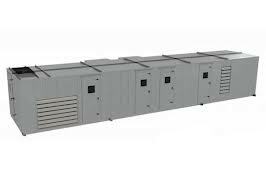 Each unit offers multiple options to provide the perfect air handler to fit all of you industry needs and requirements. The Interceptor Critical Application Air Handler utilizes Flanders HEPA and Gas Phase Filtration to combat the threats from industrial accidents or other hostile particulate and gas intrusion. Each Project will be custom designed with the customers’ specific environmental threat concerns being addressed. Filter Monitoring Devices, Dampers, Bag/in-Bag/out are just a few of the accessories available for these systems. The air cleaner is a unitary industrial type, furnished as a side access housing, containing stage(s) of particulate air filter, ultraviolet light system, and/or gas-phase sorbent media, complete with integral blower and motor sized to deliver the air volume as specified. They are available in 14 -single and multi-stage filtration component configurations to solve a wide variety of air pollution problems. They are used to remove nuisance or hazardous airborne contaminants from manufacturing processes, laboratory environments, isolation rooms, and a host of other areas. A fully self-contained Gasket Seal industrial grade air cleaning system designed for precise control of particulate, gas-phase and bio-aerosol contaminants for any combinatory from process or ambient air. 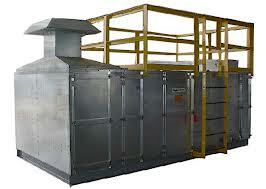 Units can be installed as ducted systems or without ductwork to remove fugitive airborne contaminants. The following options are available: seam welded, insulation, gages, and hang bases. They are available in galvanized, stainless steel or painted finish with custom colors available upon request. A fully self-contained Fluid Seal industrial grade air cleaning system designed for precise control of particulate, gas-phase and bio-aerosol contaminants for any combinatory from process or ambient air. Units can be installed as ducted systems or without ductwork to remove fugitive airborne contaminants. The following options are available: seam welded, insulation, gages, and hang bases. They are available in galvanized, stainless steel or painted finish with custom colors available upon request. Chemical media bulk-fill scrubbers are designed for gas-phase filtration in refineries, chemical plants, and pulp and paper mills. Complete packaged scrubbers are used extensively for the protection of process computers, electronic equipment, and in some cases for odor control. The Air Seal Scrubber offers a range of sizes, bed depths, and construction materials not found in most. With Air Seal’s scrubbers you have choices that allow you to create a more flexible system design.